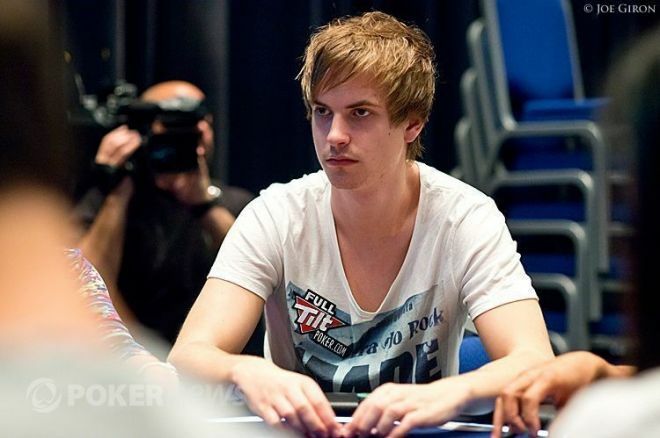 It’s safe to say that Viktor “Isildur1” Blom is online poker’s most entertaining player. He’s frequently either winning or losing millions of dollars, and this past Sunday it was the former as he won $1.4 million. Blom, who won the PokerStars Spring Championship of Online Poker Main Event #43-H for $1,096,200, actually won $1,226,796 in 4,342 hands over 29 sessions on Sunday, but he added a bit more after the server rolled over into early Monday morning. Blom started the day by winning $150,000 in two hours from Isaac “luvtheWNBA” Haxton at the $500/$1,000 CAP no-limit hold’em tables. After winning $49,000 at the 2-7 Triple Draw tables, Blom took to fixed-limit Omaha hi/lo where he won $240,000 in the first three and a half hours. Over the next 80 minutes, Blom caught fire and won $423,000 more against the likes of Kyle “KPR16” Ray, Gus Hansen and Phil “Polarizing” Ivey. Won $73,000 in 40 minutes of $400/$800 no-limit hold’em against “Sanlker.” The two then switched to $500/$1,000 CAP NLHE and Blom won another $212,000. Won $52,000 from Ivey in just 25 hands of 2-7 Triple Draw. A six-hour rematch against Haxton saw Blom add another $110,000 to his bankroll. Won $70,000 from “SallyWoo” at the $2,000/$4,000 FLO8 tables in early Monday morning. Blom’s win came at just the right time. Just after the World Series of Poker, which he skipped in favor of the online games, the Swede was up to $5.2 million, a solid $2 million ahead of his next closest competitor. A couple weeks ago, Blom gave $1,404,756 of that back and then dropped another $711,186 as described in last week’s Online Railbird Report. Thanks to his latest win, Blom is back on top the 2013 yearly leader board.